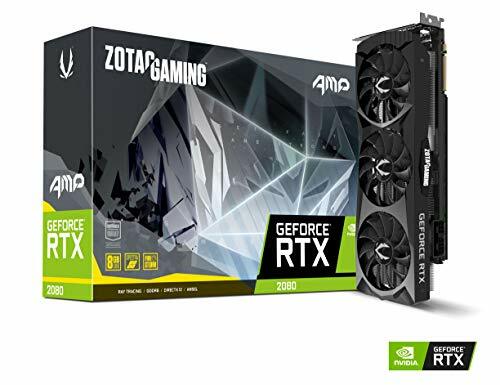 NVIDIA took a major leap in their GPU lineup with their new series of graphics cards under the name of RTX GPUs which are based on a new architecture called “Turing”. In addition to NVIDIA’s Cuda Cores for graphics processing, these cards now also include Tensor cores for machine learning. Moreover, these cards are bundled with a new anti-aliasing technique, running on their AI supported Tensor cores, called “DLSS”, the graphics technology that tries to keep the edges of graphics from getting blocky or jaggy, Lastly, these chips are coming with new GDDR6 memory which promises a major increase in memory bandwidth but that’s not even the fulcrum of NVIDIA’s proclaimed “10 times faster speeds” of RTX cards. So, in essence, these cards might achieve that earth-shattering performance professed by NVIDIA. 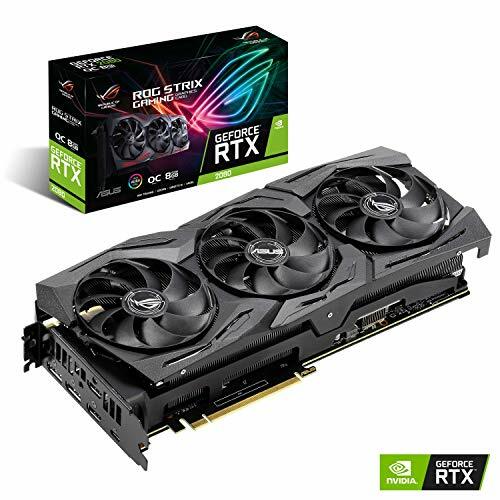 Today we’re bringing you a comprehensive overview of the best lineup of RTX 2080 cards in the market. 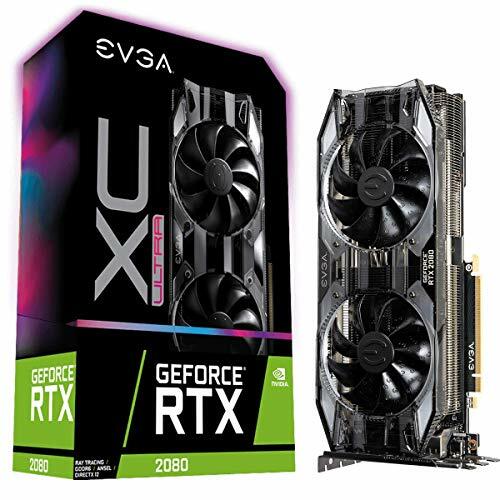 EVGA has secured the forefronts of GPU lineup yet again with their highly acclaimed RTX 2080 XC ULTRA GAMING. It exhibits a real boost clock of 1815 MHz along with 8096MB of VRAM. Expect nothing less from this card when it comes to quality performance, we enjoyed 60+ FPS at 3440×1440 resolutions in highly demanding games at 144 Hz refresh rates. It comes with three DisplayPorts, one HDMI, and one USB type-C connection (for the upcoming virtual link standard for VR headsets) supporting up to 4 monitors simultaneously with a max digital resolution of 7680 x 4320 for 8K gaming, which is pretty solid. It requires a minimum of 650 Watt power supply as it is going to have a stock power draw of 210 Watts drawing upon 6 and 8-pin PCIe power connections. We came across very peaceful performance figures while running this card at temperatures of 45 degrees C idle with stopped fans and a maximum of 75 degrees C on overclocked speeds and it was barely audible on max fan speeds. The new HDB fan design features increased airflow by 11.5 % and reduced noise levels by 4%. This cards’ considerable bulk owes to the humongous heatsink utilizing EVGA’s ICX 2 cooling with hydrodynamic bearings which work to reduce noise by an additional 15% under real-time wattage monitoring and asynchronous fan control giving you a tight command on separate fan speeds. Furthermore, the adjustable RGB LED offers configuration options for all your PC lighting needs. Now you can bask in the automatic overclocking utility by EVGA Precision X1 – EVGA’s all-new tuning utility which monitors your graphics card and gives you the power to overclock like a pro. The card comes with an HDMI to DVI adapter as it lacks the DVI ports. And of course, this card supports real-time Ray Tracing and Microsoft’s DirectX Ray-Tracing API, DX12 API, Vulkan API, Open GL 4.5 making it the perfect choice for everyone. This chunky beast of a card gains precedence over MSI’s RTX2080 Duke due to its higher overclock ceiling hitting a massive 950 MHz by the GPU memory giving an effective GPU clock of 2100 MHZ and a memory clock of 7950 MHz. This yields a significant boost in gaming over an average of 10% increased performance. If you take the DLSS into account, this RTX card has 50-60% better performance than GTX 1080 Ti overall. It dominates everything at 3440 x 1440p and plays every game we’ve thrown at it at 60+ FPS in 4K and ultra high settings. It comes with three DisplayLink ports and an HDMI port. Taking a look at the inputs, 2x 8pin PCI-E Power Connectors, and your power supply will need two 2×8 connectors. Thankfully the card comes with a 2×6 to the 2×8 adapter. It is one hefty piece of GPU needing at least 380 mm of clearance with its front 3 fans in your casing. We’ve got three RGB at the top of the card and two at the bottom. The copper heat pipes running through the massive array of aluminum fins are the key to spreading the heat along the full length of the heatsink. At the point where they touch base and collect the heat, they are consolidated as close as possible for maximum effect. The brushed aluminum backplate looks nice with thermal pads between it and the PCB working to soak extra heat out of it. It is armed with three fans; one 85 mm on the left and two 95 mm on the right. All three fans remain idle until the GPU temperature is 58 degrees C which will tip the two fans on the right to kick in. The fan on the left side will start at higher temperatures, it is smaller and is offset downwards to make the NV-link connection compatible with other cards. The cooling system is very quiet and sits happily at 68°C under max load. Stoppage of fans under certain threshold eventually equates to increased life span and noise reduction when you’re not playing any game. Luckily the idle temps for this model are in check at 36 degrees C. MSI Afterburner is one of the world’s most recognized and widely used graphics card Overclocking software. It gives you full control of your graphics card and enables you to monitor your system’s key metrics in real-time. We advise you to download MSI’s Afterburner beta and use OC Scanner, if you’re on the conservative side, this API overclock tool is for you. Be aware, the OC scanner won’t touch your GPU memory though. In conclusion, for those who are still swaying in between GTX 1080 Ti and this card, you are better off with this card in light of real-time Ray-tracing and other future securing features. The third contender in the list is this alluring looking triple fan card by ASUS staying true to their elegant aesthetics at the cost of a fair sum of money. We’ve obtained stable overclock frequencies of 2070 MHz at the core and 7700 MHz on the memory, albeit this card was hard to overclock right out the box to the cited frequencies. In manual overclocking, it completely destroyed 1080 Ti in terms of performance, especially at 4K settings. At 1440p it beat the pack with average frame rates of 139 in some games like GTA 5. In terms of power draw, be ready for a 310 power draw at maxed out settings while 225-wattage at stock levels. Protective Backplate (devoid of the thermal pad) features durable aluminum construction to prevent PCB flex and trace damage. You’ll find two HDMI ports, two DisplayPort, and a USB type-C port. Also on the other side are the two 8-pin PCIe power connectors. Max-Contact Technology and 2.7-slot width provide twice the surface area compared to the previous generation heatsink, allowing for more efficient thermal transfer. The nickel plated copper cooler has been stepped-up compared to the previous generations with added thickness to keep the hotter Turing build cool. It is loaded with three axial-tech fans with a barrier ring to increase their integrity and air pressure down the heatsink. Wing-Blade Fans boasts IP5X dust-resistance and operates at 0 dB levels when temperatures hit below 55C. Hearteningly, it stays cool at about 60°C and all settings on Ultrarunning 1440p @ 144Hz. The shroud of this card is plastic lined with LEDs throughout which can be changed through ASUS Aura software or via the on/off switch built into the card. The ASUS GPU Tweak II utility allows you to tweak critical parameters including GPU core clocks, memory frequency, voltage settings, and more with the option to monitor everything in real-time through a customizable on-screen display. From fine-grain performance tuning to advanced fan control, GPU Tweak II has all the tools you need to get the most out of your graphics card. Furthermore, a nifty addition to the card is a BIOS toggle dead center on the card; P (performance) mode and Q (quiet) modes are available which are open to customization by GPU tweak tools and whatnot. All-in-all it sets a lot of things right for demanding visual enthusiasts. This card is arguably the quietest card from the list, in case you’re intolerant to even the slightest noise or coil whines, go ahead and give this beaut a tap. The base clock speed of this card is 1515 MHz and has a very nice boost clock of 1830 MHz. We observed a solid 60+ FPS at 4K, which is pretty neat. We were able to run the 3dmark benchmark, with automatic OC enabled and a 600mhz memory boost, and the card set to 60% fan speed without thermal throttling, all-in-all a very sweet breeze for gamers. As far as the specifications are concerned, it has pretty much identical features to the reference model. It has three DisplayPort 1.4, one HDMI 2.0b Up to 4 display, and one USB type-C port. Quad simultaneous display capable and 650-watt power supply is recommended for this card. This card gave us outstanding thermal numbers of 67 degrees C under full load. All thanks to a larger and thicker aluminum fin stack array in combination with five 8mm copper heat pipes working in harmony to dissipate more heat than previous generation designs. Its three fans are under your complete command with each fan individually controllable. Two individual fan controllers allow users to adjust fan rotations independently and apply increased airflow only to where and when it’s needed, reducing overall noise and increase longevity while still keeping things cool under the hood and performance going strong. It’s all done automatically so there’s nothing you need to do. For the overclockers, ZOTAC has its own dedicated software called FireStorm by which you can also control the spectral lighting of RGB on the card. With the all-new OC Scanner feature, they took the tedious trial and error and guesswork process out of the equation and dropped it into a simple button press. It will sit right with Game Ready Drivers, Microsoft DirectX 12 API, Vulkan API, OpenGL 4.5, Microsoft Windows 10/7 x64. Lastly, the NVlink (or SLI) for these are almost true doubling scale. That means two cards will essentially double the FPS. Whereas the 1080 Ti saw an x1.5-ish gain. The last entry on our list is this neutral and stealthy themed card by GIGABYTE with the only RGB on the name logo. It is a very compact dual-slot card with its dimensions almost similar to the founder’s edition. It operates at a boost clock of 1850 Mhz and there is an OC mode to push for another 50 MHz. 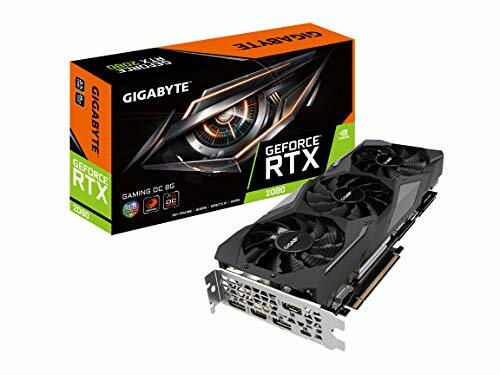 The Gigabyte RTX 2080 really shines in games where the engine has been updated to fully utilize the new architecture (Doom, Wolfenstein, and BF5). The difference here is as high as 40% in some setups (yours will vary). In AAA games on ultra, you will get lower than 60 FPS but should get a solid 60 FPS on medium-high. It will run anything at 2560×1440 on ultra at 80 fps or better. It has 3x DisplayPort, 1x HDMI, 1x USB Type C, and 6 and 8-pin power connector. It will just about boost to 2000MHZ on its own and still hover around the low 60’s (FPS). The cooling solution features three easily detachable 85 mm fans. Moving onto the heatsink, it is copper and aluminum with half a dozen 6 mm heat pipes all of which come in direct contact with RTX 2080, so there is no copper base here and that is why the cooler is so much lighter than the version found on the founder’s edition. There is an aluminum backplate underneath on which we found three thermal pads to effectively spread the heat. The overclocking with the card could’ve been better, nonetheless, the card really breaks any sort of sweat at 4k and the stock fan curve keeps it at ~70c. You can adjust your fan curve and have it gaming 4k at 62 degrees C steady. We did experience some coil whine but it was within tolerable levels. Gigabyte’s cooler is extremely easy to remove, making this an exceptional water cooling card. Literally, 4 screws and unplug the fan headers and the Cooler is off. 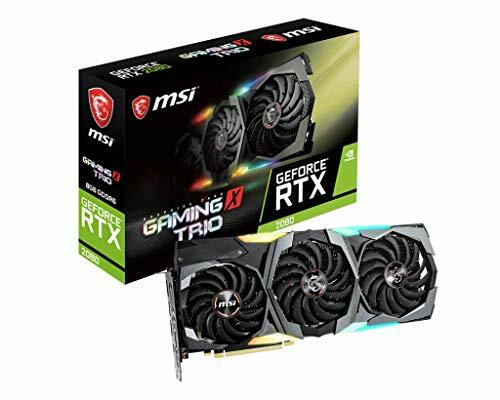 To summarize, it is a decent bet for gamers who aren’t too hot for aggressive GPU designs and rather inclined more towards a stealthy looking card with compelling performance figures.